The jury at the hearing into the murder of prominent journalist Anna Politkovskaya has been shown chilling evidence of the last moments of her life. Video from the two cctv cameras reveals that it took the killer only 24 seconds to commit his evil crime. The prosecutors have shown the jury images from the two cctv cameras near the journalist’s house on the day she was murdered. The video shows that it took the killer only 24 seconds to commit the crime. It’s also clear from the video evidence that Politkovskaya had been shadowed for several days before the murder. On the day when she was killed a man wearing a baseball cap went into the stairwell of her apartment block. Ten minutes later Politkovskaya came in. After shooting her five times, the murderer left. The video shows him walking quickly away from the scene. On Thursday the court began hearing evidence from the murdered journalist’s family. 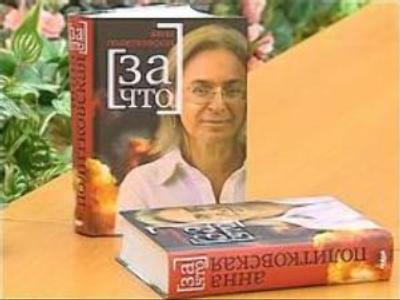 The son of prominent journalist Anna Politkovskaya says his mother had been menaced for five years in connection with her writings before she was assassinated in 2006. Ilya Politkovsky was giving evidence at a murder hearing in Moscow District Military Court. However, he said that he had never seen the defendants accused in connection with his mother's murder before. Ilya Poitkovsky added that he doesn’t know whether they were mentioned in any of her articles. In her turn, the assassinated journalist’s daughter, Vera, said her mother mentioned on more than one occasion that she had seen “strange people” at the entrance of their apartment block. “She [Anna Politkovskaya] said those people smell alcohol which meant they were not drunkards, but they were very strange. She asked me to be cautious,” Politkovskaya’s daughter told the court. Earlier, Judge Evgeny Zubov said the proceedings would take up to 45 days and refused prosecution demands that he step down because of alleged bias. The court rejected the claim in a ruling read out by Judge Zubov himself. Lawyers from both sides are reported to be satisfied with the court’s decision. To follow the dramatic developments during the Politkovskaya murder trial, please click on the link. The state prosecutor had challenged the judge, pointing to an abuse of procedure. Lawyers of the family and the defence, however, rejected the claims. On Tuesday a decision was taken to reopen the hearings to the public. It has been the second such reversal in just a week. Praising the decision, Defence lawyer Murad Musayev said “free speech and democracy have held a victory in this trial. The proceedings will be open; the press will be admitted to the courtroom,” he said. Three men have been charged with involvement in the murder: a former police official Sergey Khadzhikurbanov and Chechen brothers Ibragim and Dzhabrail Makhmudov. The three defendants charged in connection with the murder deny all the accusations against them.